A completely unique opportunity to own a truly modern Intermeccanica Roadster at a very attractive price. This is not only one of the first Liquid Cooled Subaru cars ever to be offered pre-owned, but it has extremely low milage, with only 1,700 miles on the odometer. Though he is now selling the car due to health concerns, the owner put the utmost care into speccing and maintaining his car. 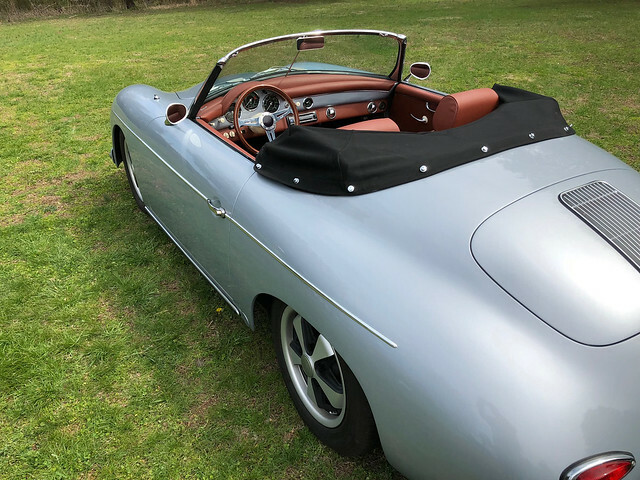 Apart from the wonderful 2500cc Subaru engine with fuel injection and 165HP, this car boasts Italian leather Recaro seats, wool square weave carpet, Vintage Air AC, Cruise Control, a Nardi steering wheel and a custom audio setup, curated by the customer, with an Alpine stereo.